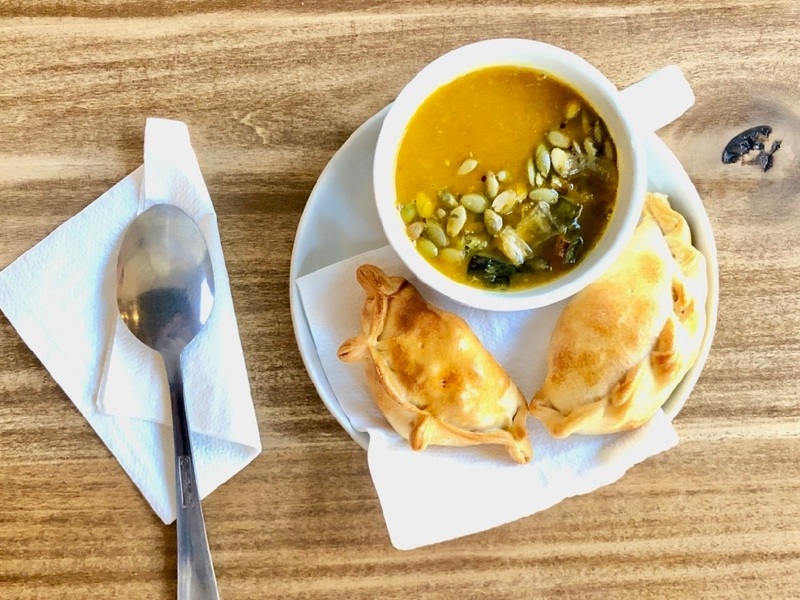 The all-day menu includes traditional Argentinian fare like empanadas, tarta de choclo (corn quiche), tarta de zapallitos (zucchini quiche) , tortilla de patatas, mafaldas (ham and cheese medialunas), a variety of special salads and seasonal veggie soups. 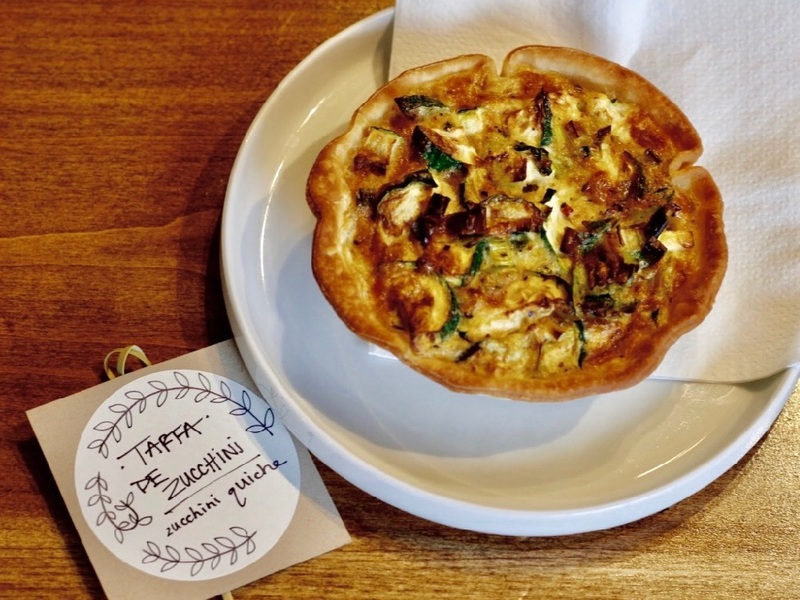 Served all day, 2 empanadas, or an individual quiche or tortilla, and a side house salad. 3 empanadas of your choice served with a seasonal pickled vegetable and Chimichurri. 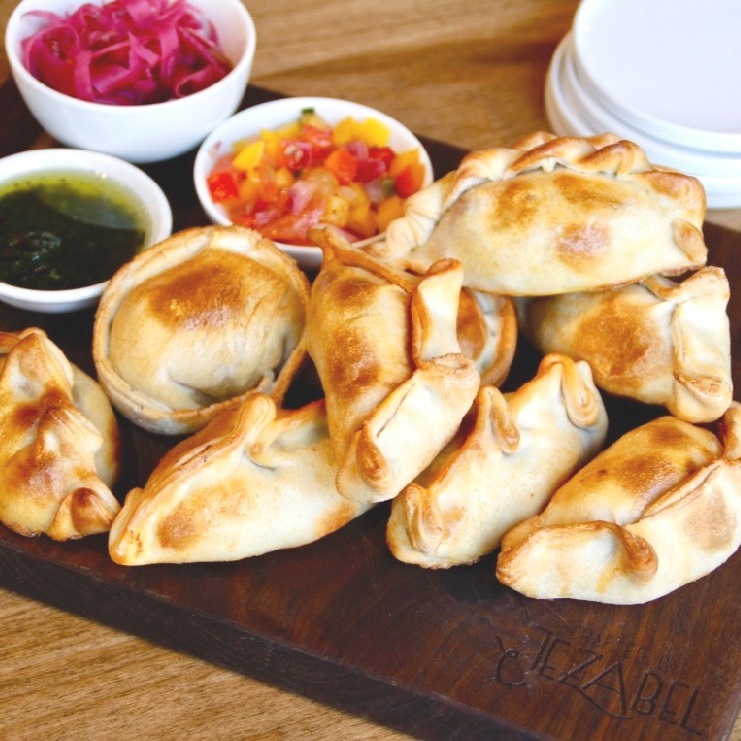 Assortment of 8 Empanadas with Chimichurri, Salsa Criolla and a seasonal pickled vegetable. TARTA DE CHOCLO: Sweet corn, egg and cream custard, green onions and some spices for a little kick… delicioso!